Magnetic roll stock with a white vinyl on the one side. 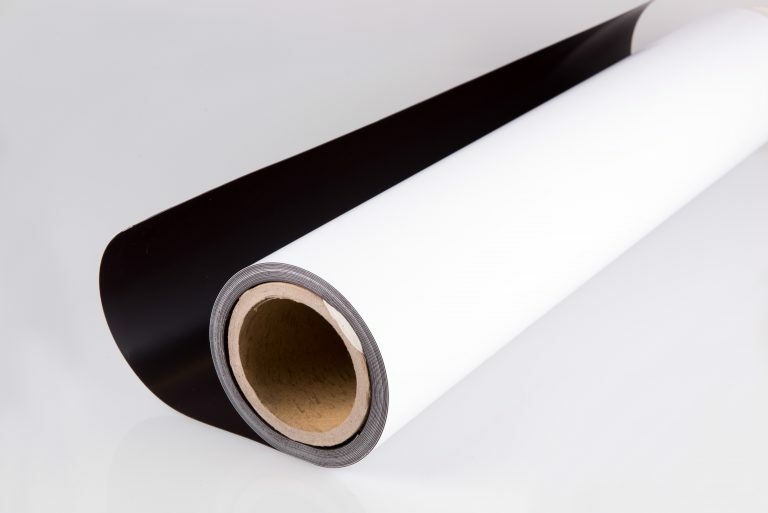 610mm wide and is either 0.8mm thick (20m per roll) or 0.6mm thick (25m per roll). Magnetic roll stock with a self adhesive on the one side. 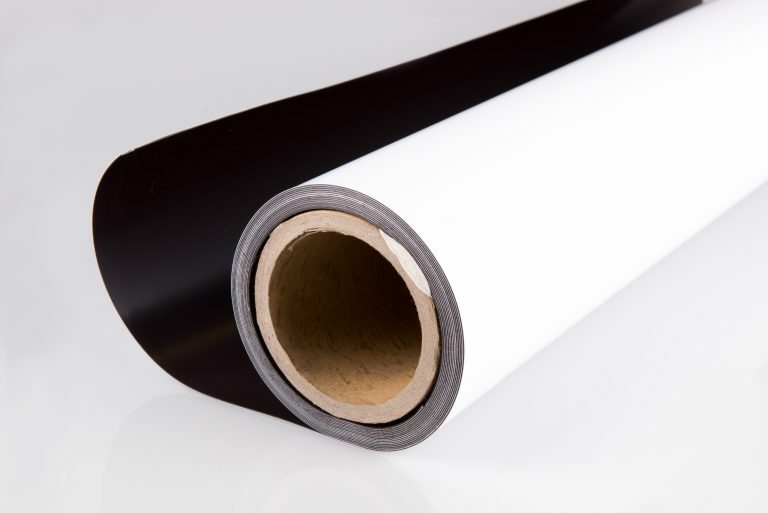 620mm wide and is 0.5mm thick (30m per roll). 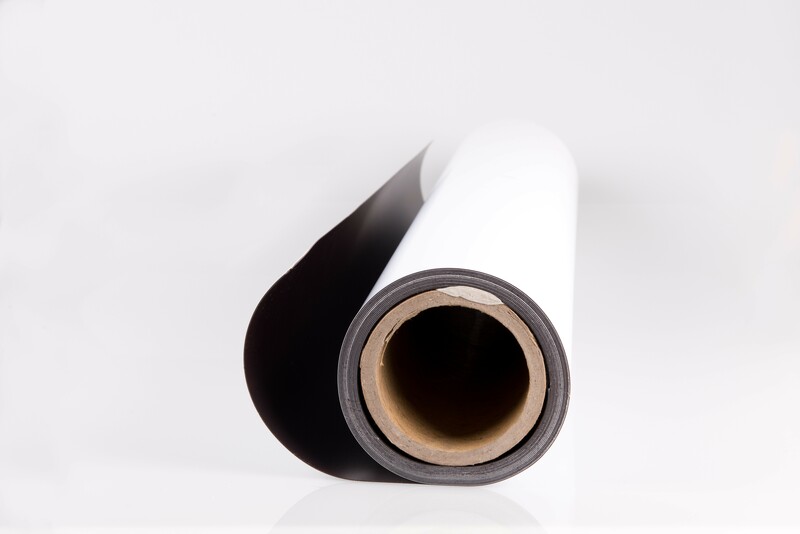 12.7mm wide x 1.5mm thick (30m per roll).